Do what’s best for your vehicle, and bring it to the service centre at Knight Ford Lincoln. We can handle all your necessary maintenance and urgent repairs no matter what kind of make or model you drive. Our facility is equipped with the finest tools and diagnostic technology on the market. And our technician team is trained, experienced, and highly professional. Count on getting faster service on your schedule thanks to our Ford Quick Lane with drive-up service for oil changes and basic maintenance. Expect to feel confident that your vehicle is in top shape. And pay less for the services you rely on the most. It’s easy to keep your vehicle running stronger for longer when you partner with Knight Ford Lincoln. You can visit us to browse the entire lineup of new Ford and Lincoln vehicles. That includes the powerful and always popular Ford F-150 pickup, as well as the stylish and luxurious Lincoln MKS sedan. If budget is your priority, we have a huge inventory of top-quality pre-owned vehicles, all fairly priced. After you tour and test drive the models that catch your eye, work with our finance department to get approved for the loan you need no matter what your credit history is like. Then visit us again anytime you need service, or you’re looking for official parts and accessories. 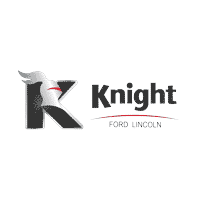 If you have been disappointed by your experience at another dealership, work with Knight Ford Lincoln next time. Everyone on our team goes above and beyond to ensure you leave satisfied. Stop by the showroom seven days a week, or contact us at your convenience.